One of the more complicated aspects of war is how military commanders and civilian policy makers arrive at decisions. At each level of warfare, from the tactical to the strategic, and including the cross-cutting institutional level of war, speed and consequences in decisions vary. Thinking about the speed of decisions in terms of planets, revolving in an orbit at various distances from the center offers a method to conceptualize the various speeds. Each orbit accounts for one decision at the various levels of war. Moreover, the decision space at each of the levels of war occurs in the context of the security environment. Decisions at the tactical level of war should be thought of in terms of the planet Mercury. Decisions occur at a rapid pace, ranging from minutes at the squad or company level to hours at the division level. In times of direct combat, decisions may occur seconds apart. At this level, leaders rely on what Nobel Prize winner Daniel Kahneman described as System 1 for their decisions—using heuristics, instinct, and intuition to make decisions rapidly. There is little time for reflection at the tactical level of warfare, and decisions often occur with little effort. This is not to say that all tactical decision making occurs without deliberate thought. Within the Army, battalion, brigade, and division staffs rely on the Military Decision Making Process (MDMP) to provide structure to their decision making. Even when time permits such formal analysis, however, decisions are more often than not made at a higher frequency than operational or strategic level decisions. As decision making advances to higher levels and decision speeds slow down, the more important decisions should move from System 1 to System 2 thinking—a slower, deliberate, and logical approach. There is a similarity between the tactical orbit and John Boyd’s famous OODA Loop. Indeed, considering a simplified aspect of the OODA loop, Boyd preached that the ability to make decisions at a faster pace than one’s adversary provides for a decisive advantage. However, Boyd’s OODA loop occurs in a vacuum. The Ptolemaic model forces us to consider the gravitational pull of other decisions at the various levels of war. Further, speed of decision within each orbit is of less relevance than is making the right decisions. Tactical outcomes lose their influence when they occur as a result of an incorrect strategic or institutional decision. From the division through combatant command levels, the pace of decisions occurs over a wider range of time. 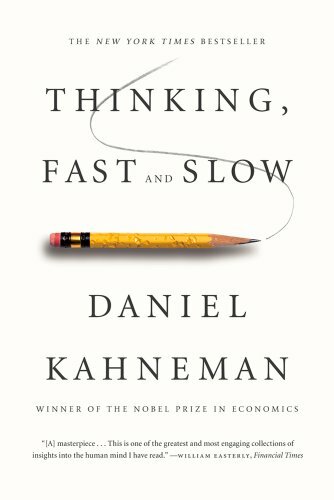 It is at the operational level of warfare where leaders begin to rely most heavily on Kahneman’s System 2, where an individual must pay attention to his or her decision-making process. At the combatant command level, the speed of decision making is typically dictated by world events. During periods of relative stability, decisions occur on deliberate timelines as dictated by the Adaptive Planning and Execution process. During times of crisis, battle rhythms change, and the combatant commander, along with his or her subordinate components, transitions to making operational decisions on a daily basis. Leaders in the operational level orbit should recognize the correct decision when they have the developed the wisdom and experience at this higher level of war. Both Malcolm Gladwell’s writing in Blink and Gary Klein’s writings in Sources of Power illustrate this trait. A dearth of experience or expertise of operational and strategic war planning reduces the speed of decision at these levels of war. Indeed, commanders at the tactical level often (but not always) have the most experience within their respective units, thus limiting the influence or advice from subordinate members of their command. However, within joint commands leaders often find themselves working at the joint level for the first and possibly only time in their careers. Movement in the outer orbits of decision-making should be slower and more methodical, based on the various levels of inexperience. If tactical and operational orbits relate to Mercury and the rocky planets, strategic and institutional level decisions relate to the gas giants, both in terms of orbit size and the impact of decisions. Due to the impact of strategic decisions, nations develop strategic objectives at a pace that can last months or years. Deliberate strategic decisions are often reflected in published strategic guidance such as the National Security Strategy, National Defense Strategy, Quadrennial Defense Review, and various other documents. Strategic decision making, although slow, is coupled with forcing functions. For example, Congress mandates the timelines of documents such as those listed above. Further, the continual pace of elections influences the strategic direction promulgated by the U.S. President and his national security team. The slow pace of these strategic guidance documents has a gravitational pull on operational decisions, as commanders and staffs often operate with outdated or irrelevant information. Strategic guidance and results of decisions are frequently not communicated directly or explicitly. Rather, the communication of decisions comes through public speeches, or one on one conversations. When the nation looks to change strategy, the nature of our democratic institutions demand a public or national dialogue. At the strategic level, battle rhythms continue to influence the pace of decision-making. Although frequent and periodic, meetings among the Joint Chiefs of Staff at the Pentagon and In Progress Reviews of contingency plans are scheduled months in advance and occur on a periodic basis. Moreover, taking into account each of the ten combatant commands and the services, they occur on a frequent basis. These dialogues, which occur in a secure conference room resembling a fish tank in the Pentagon, colloquially called "The Tank," involve a team of strategic leaders to include service chiefs and combatant commanders who come together to discuss and solve problems. Further, those seeking decisions by strategic leaders must align the calendars of organizations who hold equity in the decision. Moreover, just as decision makers at the operational level must build a semblance of consensus, decision makers at the strategic level must do the same. This means creating buy-in from various organizations throughout government, thus slowing the pace of national level decision-making. An additional complicating factor in decision making at the strategic level is the nature of the political system in which those changes are made. When the nation looks to change strategy, the nature of our democratic institutions demands a public or national dialogue. Both the surge in Iraq under President Bush and the surge in Afghanistan under President Obama were preceded by months of public debate. This concept of strategic decision making in democracies is not new. For example, the ancient Greek philosopher and historian Thucydides described how Athens changed its grand strategy in the Peloponnesian War through the persuasion of the orator Pericles. Juxtaposed against the deliberative nature of democracies is the rapid pace at which autocratic nations can change strategic direction. Thucydides accounts for this in his descriptions of Spartan decision making. Autocracies tend to compel changes to their strategic approach without persuasion of population. However, there are times when decisions of strategic consequence move at a much more rapid rate. Decisions at the strategic level move into a lower orbit during times of national crisis. Indeed, as the orbits represent a trip through a decision cycle, response time in crisis often requires decisions at a rapid pace. The response required from elected leaders to a nuclear launch from an adversary can occur in minutes to hours. This moves the strategic decision calculus from Kahneman’s System 2 to System 1 thinking. Knowing and understanding the impact one has at the outer orbits of decisions allows for a deliberative process during times of crisis, thus reducing the risk of strategic miscalculation. Decision making at the institutional level of war can range from months to years. Indeed, the first, second, and third-order effects of institutional decisions can last for decades. The decision to develop and field weapons systems from the Army’s so-called “Big 5” systems still influence how the joint force fights today. Indeed, platforms such as the M1 Abrams Tank and the Blackhawk helicopter began development in the early 1970s, began fielding of the platforms in the early 1980s, and continue to perform on the battlefields of today. Similarly, the Air Force still operates B-52s over 50 years after their first appearance on the battlefield, and aircraft carriers have a lifespan of over 30 years. 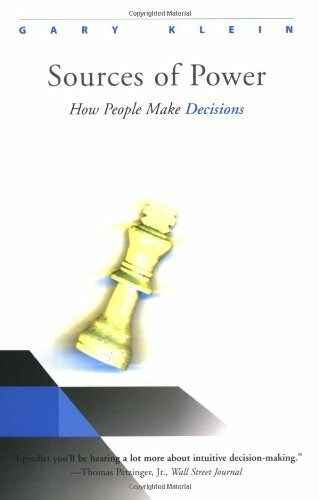 Institutional decision-making occurs throughout the lifetime of concept development, experiments, testing, fielding, and eventual retirement of solutions across the range of doctrine, organization, training, materiel, leadership, personnel, and facilities, a range of options when considering capabilities and change within the Department of Defense. Institutional decision-making moves on the largest orbit, and should always make use of System 2 thinking. Further, institutional decisions can occur in an organizational version of unconscious thought. In the course of the formal process through which the Department of Defense evaluates requirements and evaluation criteria for the utility of acquisition programs, various decisions on the types of solutions may naturally appear, without the conscious efforts of senior leaders seeking them out. Advancements in the use of unmanned aerial vehicles from reconnaissance platforms to offensive weapons systems, a glide path similar to the airplane, serves as a prime example. Deliberate and well thought out decisions within the institutional orbit are necessary, based not only on the lifespan of combat platforms, but also on the risk associated with failure. The wrong decision within the services can come at a cost of billions of dollars and thousands of lives. Further, a military ill-prepared for war puts the nation at risk. The recent history of the Army’s Future Combat Systems represents one aspect of this failure in terms of wasted capital. Six decades later, the employment of Task Force Smith, a force ill prepared for major combat operations remains a stark reminder of the cost of failure. Nothing speeds up decision making like warfare. Understanding failures at the institutional level of war allows us to consider its impact on the strategic, operational, and tactical levels. Incorrect decisions such as pursuing the wrong weapons platform, or failure to develop proper doctrine certainly influences the outcome of tactical engagements. At the strategic level, possession of a military force incapable of winning on the battlefield limits strategic choices in terms of deterrence and persuasion. As a body with the largest funding streams, the institutional level of war exerts the greatest pull on each level of war. And like the planet Jupiter, the institutional level of war reigns supreme in this complex system. Nothing speeds up decision making like warfare. While in times of peace (or of Cold War), decisions at the institutional level of war can take years and decades, in times of active conflict, necessity drives the speed of decision making. Recent examples of outer orbits moving into inner orbits include the development of the Army’s Rapid Fielding Initiative, the rapid fielding of Mine Resistant Ambush Protected vehicles to Iraq and Afghanistan, and the writing and publication of Field Manual 3-24. Moreover, institutional decisions must balance the needs of the services to fight current wars with the deliberate planning for the future, often up to thirty years out. This outer orbit of decision-making creates frictions with the needs and desires of operational and tactical forces. Highlighting this friction is the crux of the current dialogue in the U.S. Air Force over the future of platforms such as the A-10, the F-22, and the F-35. When thinking about decisions at each level of war, complexity becomes an issue when one recognizes that tactical, operational, strategic, and institutional decisions occur in multiple organizations. There are thousands of tactical units, hundreds of operational organizations, scores of strategic agencies, and multiple institutions (e.g., each of the military services). Tactical commanders must understand the slower rate of operational and strategic level decisions. Operational and strategic level leaders cannot get caught in the rapid pace of tactics, but neither can they ignore the fact that decisions at the tactical level must proceed at the pace demanded by the situation. When operational and strategic leaders increase the pace of decision-making, it can lead to a chasing of the bright and shiny object mentality. Decisions in these orbits include a set of dialogues and tend to be iterative. Further, leaders at all levels must consider the complexity of decision making at each level above and below them. The second, and third order effects of decisions at outer orbits tend to have a greater impact upon national security. One need not look past America’s Iraq experience to understand the scores of national level implications stemming from the decision to invade. Understanding the speed of decision-making is paramount if commanders at various echelons are to interact effectively with each other. In combat, higher headquarters must exercise patience when requesting information from subordinates in close contact with the enemy, thus allowing enough reflection time or space to arrive at the best decision. Operational leaders should balance risk within their selected course of action, understanding that strategic leaders may not have the right capabilities to support them. Further, understanding speed, and the types of thinking required at each level should inform who we select to lead at each level. Tactical success does not always translate to strategic competence. Outer orbit commands should understand that the rapid pace of decisions at the tactical level could change facts on the ground, and influence the leverage of higher-level leaders. Poor decisions by tactical level commanders and their subordinates can reduce the bargaining position of policy makers. Moreover, unethical choices can lead those at the strategic level into uncomfortable decisions, such as those experienced by policymakers after events like the criminal misbehavior of soldiers at Abu Ghraib. Knowing that decisions in the outer orbits use the System 2 type thinking, the Defense Department as a whole can seek out and acquire talent with that skill set. Organizations should be wary of generals, admirals, and other men and women chosen to lead strategic organizations who are only comfortable using System 1. Indeed, the military should be cautious in choosing strategic leaders based only upon tactical level success. Astrophysicists can predict when the planets align. When it comes to national defense decision making, leaders should consider the alignment of the levels of war. There is precedent for said alignment. Chancellor Otto von Bismarck and General Helmuth von Moltke aligned national policy to military operations, which in turn led to tactical victories. These victories were preceded by a military institution that created the Prussian General Staff, and emphasized offensive doctrine. More recently, America’s victory in Desert Storm saw the alignment of national policy to military strategy, which in turn led to tactical victory in the Middle East. Preceding Desert Storm, the U.S. military experienced two decades of institutional change, to include the development of the Army’s aforementioned “Big 5” programs and the publication of AirLand Battle doctrine. Thus, as the security environment continues to change and the military evolves, we must develop leaders who understand their role and the impact of their decisions at every level of war. Daniel Sukman is a strategist in the U.S. Army and a member of the Military Writers Guild. The views expressed in this article are those of the author and do not reflect the official policy or position of the U.S. Army, the Department of Defense, or the U.S. Government. Daniel Kahneman.2011. Thinking Fast and Thinking Slow. Farrar, Strauss, and Giroux. New York. OODA: Observe, Orient Decide, Act. Thucydides. History of the Peloponnesian War. Pericles first convinced the Athenians to conduct war on the strategic maritime defense to avoid decisive battle against a superior land force. Pericles had to convince the Athenian Assembly to adopt his strategy. Guy Claxton. 1997. Hare Brain Tortoise Mind; How Intelligence Increases When You Think Less. Harper Collins. New York. Recognizing the need for rapid fielding, DoD created the Joint Urgent Operational Needs Statement (JUONS) and corresponding processes within the various services. James M. Dubik. 2016. Just War Reconsidered; Strategy, Ethics, and Theory. University Press of Kentucky.